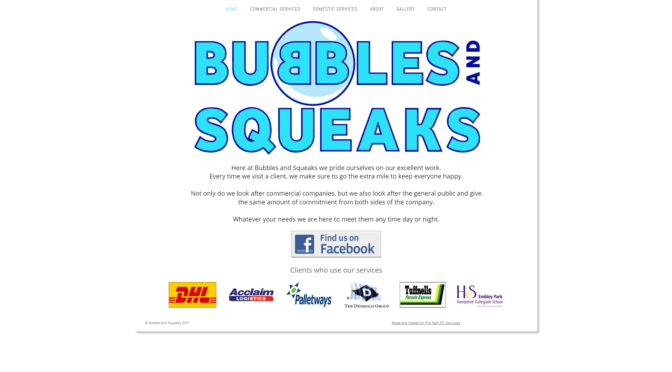 Bubbles and Squeaks Cleaning Services new Website. Bubbles and Squeaks brand new website. 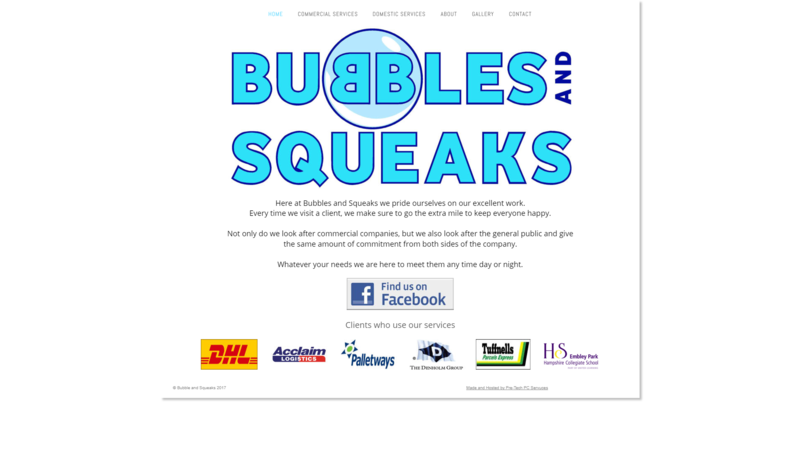 Bubbles and Squeaks Cleaning services (formally Bubbles and Squeaks Mobile Fleet Wash) came to us originally to their website. But now as their company is expanding they wanted a brand new website to reflect that. Check these guys out here: http://bubblesandsqueaks.co.uk.